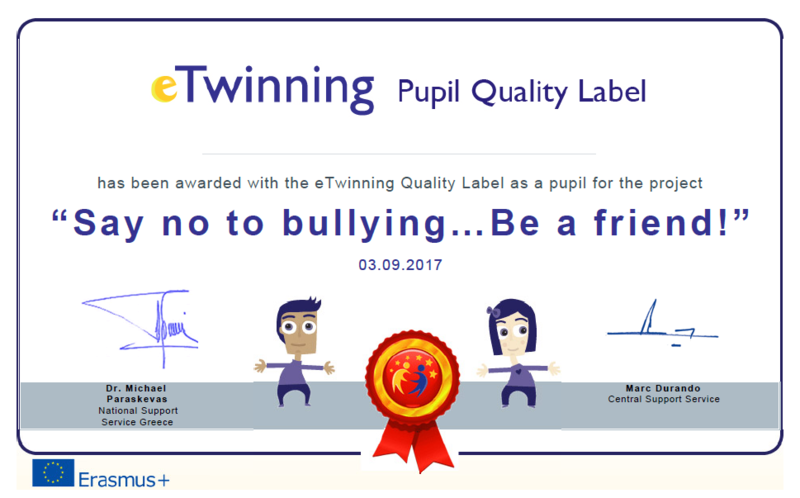 * Students of ST2 and B2 are involved in this collaborative eTwinning project during the school year 2016-17.
raising awareness regarding "antibullying", and giving emphasis on building friendship, anger management, tolerance, respect, team work and cooperation. ​Furthermore, it aims at making them practice their English , thus further developing their writing, listening, speaking and reading competence in English. Students of ST2 completed the introductory activity to their project in which they had to present themselves to their e-friends. They used the Word Processor for their presentations and they also recorded themselves using the Voki software. Check out their work below. Copyright © 2011-17 English Corner. All rights reserved.